I was delighted to learn that this week’s FriFotos theme was Rooftops. One particular image came to mind immediately. 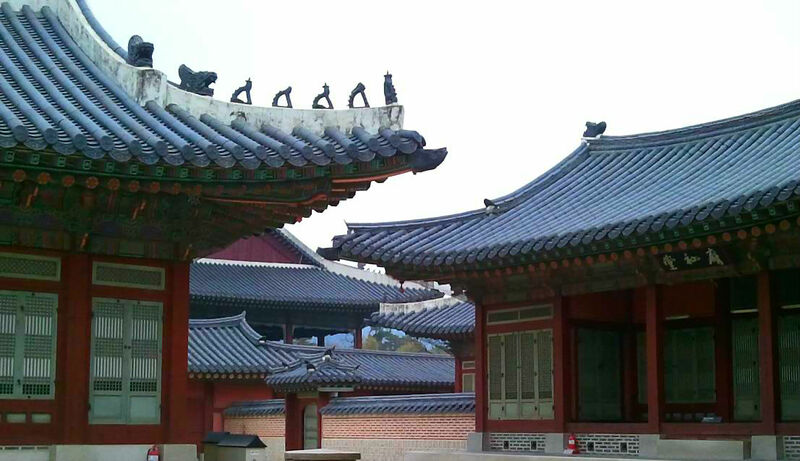 Last fall I was at Gyeongbokgung Palace in Seoul and showed the grounds to my friend who had flown in from the states. We wandered around the many buildings, traditional rooms and alleys. Suddenly, I turned around, looked up and saw this amazing view! Rooftops looked like dominoes almost touching each other. I simply had to capture it! I had been to the palace many times before but it was only then that I noticed such details. Months later I look back at it and smile. It’s as if I remember exactly what it felt like. If you are ever in Seoul, I highly recommend visiting this impressive and beautiful palace.